Learn about Steven Harris’ Favorite Things - From The Vikings to Breakfast! First and foremost, I am a husband and a father. My wife, Kimberly, and I have two amazing children, Jack and Victoria. I am an avid sports fan, especially basketball, football, and golf. I grew up playing all kinds of sports and, even though I have lived in Arizona for most of my life, I am a HUGE Minnesota Vikings fan. SKOL! I am always striving to learn and do more. I believe that if you continue to put yourself out there, no matter if you fail or succeed, you will always learn something about yourself and become a stronger person from it. 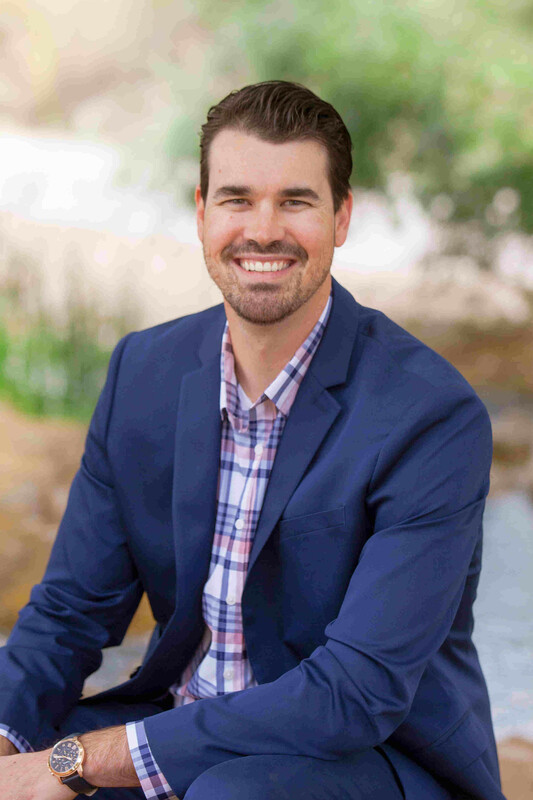 Steven is Managing Partner of Journey Arizona. Along with partner Jaime Zuder, they opened the first Journey office outside the state of Colorado in the summer of 2017! Serving up refreshing payroll in that desert heat, he is the forefront of implementation and systems for Arizona. He is a Certified Payroll Professional and has a knack for everything to do with numbers! I love being able to help set the foundation and educating small business owners. I love when our clients invite us to their events so we can help support them and their growth/mission. Steven loves everything local — so supporting local businesses through payroll is even better! Whether it’s visiting local clients for a quick bite or doing cameos on local radio, he supports local every opportunity he gets. We have a wonderful team here at Journey. Everyone is so open with each other. We all have the same goals: to provide the best quality service and solutions to our clients and have a lot of fun with each other while doing so. The collaborative environment we have created here makes for an extremely inviting workplace and we all support one another through the ups and downs. I really enjoy spending time with the family, especially when doing things outside of the house. We like to travel and explore new cities or fun events. I love watching my kids getting into their sports and being there for every practice and/or game. We spend quite a bit of time in the pool during the summers and love hosting get-togethers or BBQs at our house as well. One my favorites is making Sunday breakfast every weekend during NFL season. My specialty is the Omelette Bar, along with homemade chips and salsa.